Data, machine learning, and artificial intelligence are disrupting everything we know, in ways that most of us don’t understand… yet. To help you keep up, we’ve launched a new series, Degreed Does Data. We’ll dive deep into these topics, simplify their complexities, explain their potential impact, and break down the dramatic ways they’ll change the industry. Our previous entries include Data Science and Machine Learning. Today, we’re unpacking one of the most fundamental concepts in mathematics and computer science: the algorithm. We see algorithms all over, from YouTube to Amazon to Instagram, but how can they be used for learning? More so, how can companies take advantage of the opportunities and advantages algorithms create? Definition: A rule (or set of rules) for a software program to solve problems by taking in information and giving out solutions. 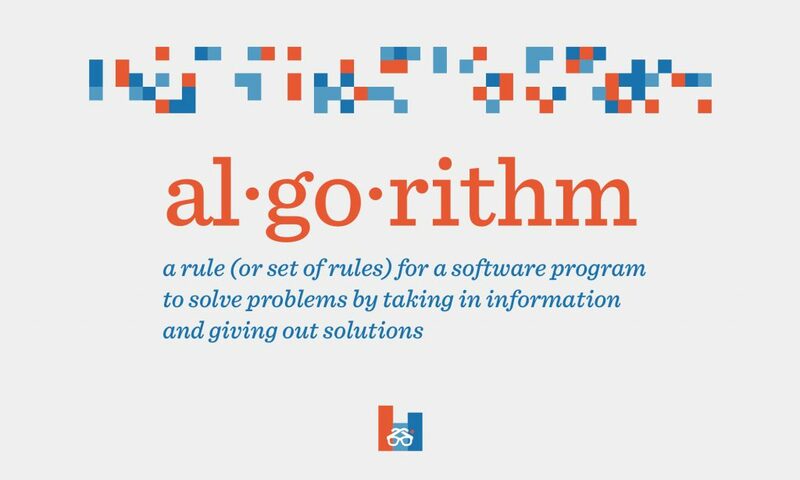 The term algorithm makes most think of today’s Silicon Valley. Interestingly enough, the word comes from ninth-century Persia. Sometime around 820 AD, the mathematician, Muhammad Al-Khwarizmi, wrote the world’s first algebra textbook. The English word algorithm comes from Al-Khwarizmi’s name and his steps for solving equations. Fast forward to the present, and algorithms do a whole lot more than just solving problems on algebra tests. They give us our search results, suggest videos for us to watch, find drivers to pick us up, and even match us with potential partners. Without algorithms, there would be no apps, no internet, no computers. Just imagine the horror. So How Do Algorithms Work? It’s all about the give and take. By that, we mean taking inputs and giving outputs. A search algorithm takes the terms you put in and gives out the relevant webpages. 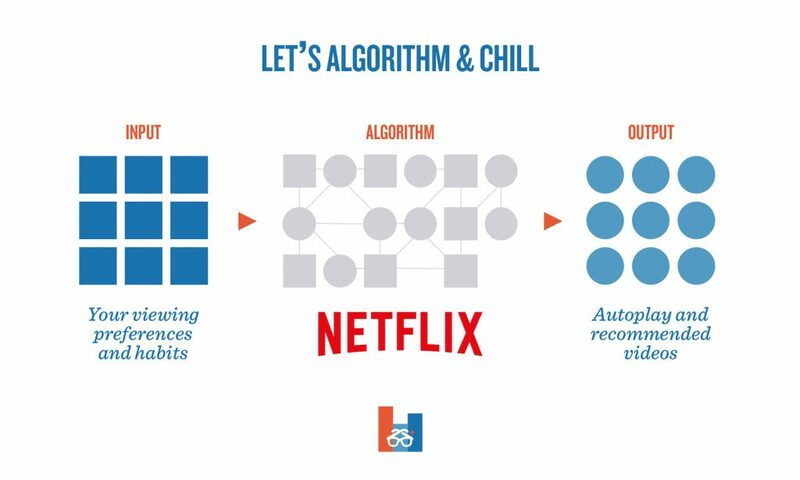 A recommendation algorithm, like what you see on Netflix or YouTube, takes your viewing habits as the input and gives autoplay videos as the output. Algorithms for ridesharing or dating apps take users’ information as the inputs and then generate matches as the outputs. Which job applicants get interviewed? The algorithms in our lives range from quite simple to impossibly complex. Take healthcare, for example. A simple algorithm like heart rate, calculated in terms of beats per minute, makes it easy for anyone to check their health and fitness. Doesn’t matter what grade you got in Algebra, you can wrap your head around it. But more complicated algorithms, such as the statistical models that predict the likelihood of hospital readmission, are so tricky that even cutting-edge machine learning gets stumped. If you’re supporting people’s development, you’ll want to make sure you have a basic understanding of the inputs, outputs, and algorithms that can help them learn. A simple one, such as the Skills Quotient, can let you quickly calculate the capacities in your organization. More sophisticated algorithms, eg: the programming for a personalized learning platform, can offer endless educational possibilities that adapt to unique needs in real time. With experiences and aspirations as inputs, the outputs will create new opportunities and competitive advantages. What are the most important algorithms used in this solution? Every useful application uses multiple algorithms. 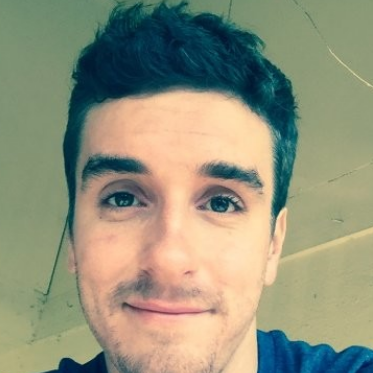 For example, YouTube has an algorithm for autoplay, another algorithm for search, a different algorithm for putting videos on the homepage, yet another algorithm for generating subtitles, and even more algorithms for choosing which ads to show you. 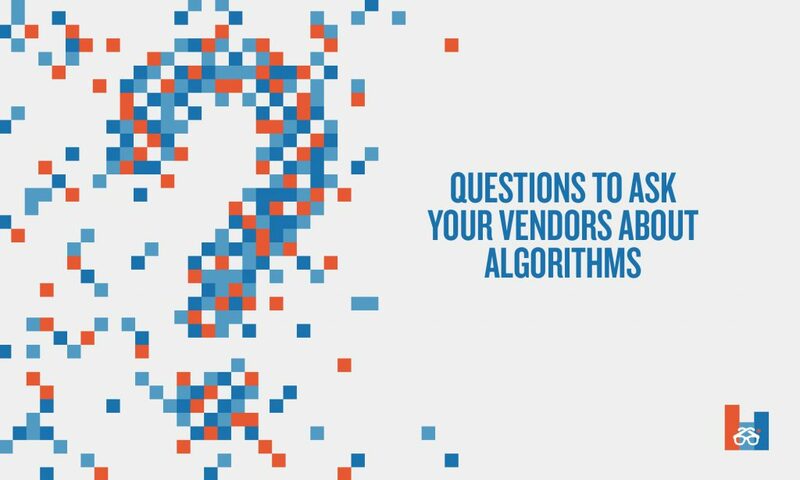 To keep up, when you’re considering software, find out which algorithms are most important and what they’re used for. What exactly are the inputs in the algorithms for personalized learning? 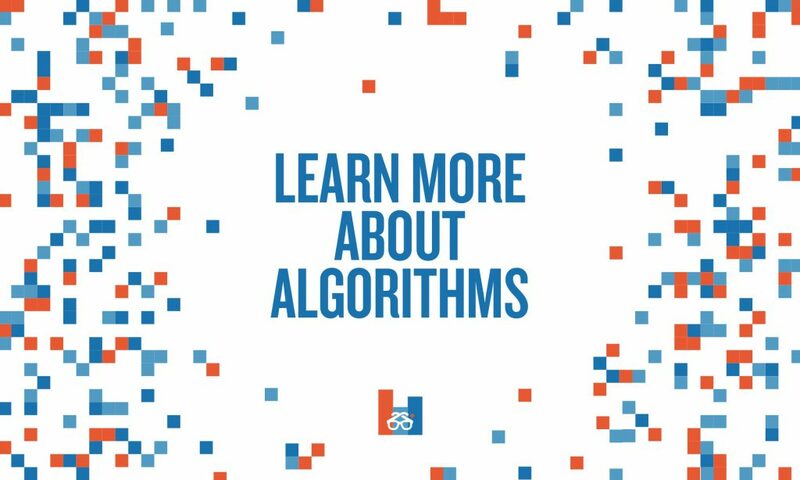 Algorithms depend on inputs — who is learning, what skills they have, what their goals are, what they’ve already checked out, etc. Without the inputs, algorithms can’t give outputs, so users can never have complete privacy. To stay safe, you can follow the data tracked by each platform. Once you know the inputs, you’ll also better understand the outputs, helping you confidently evaluate the results of your learning platform. How do programmers make sure that algorithms are up-to-date and comparable to the best consumer-grade applications? In the past, employees never looked to the LMS for learning — unless it was required. Instead, they went to Google to find what they needed, because Google’s search algorithm worked better. Google is constantly updating its algorithm, with thousands of people working to stay on the cutting edge. The tools for your organization must be just as current and competitive. Make sure you know how the platform will keep its algorithms as fresh as the most popular applications on the market. This clip from Crash Course breaks down how algorithms serve as the foundation for computer science while discussing some important applications. Futurism.com goes back to the basics first but then dives deep into the nine most dominant algorithms on the internet today. This episode of 99% Invisible focuses on the research of former financier and mathematician Cathy O’Neil, worrying about the dangers of unchecked algorithms. Wired Magazine considers what programmers, researchers, executives, and politicians can do to make sure algorithms work well for everyone.